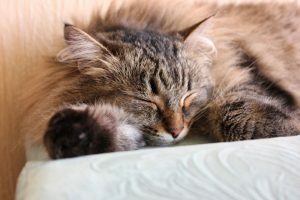 Just as in humans, older cats have different characteristics and needs than younger cats, and recognizing the change in care is important for the health of your senior cat. 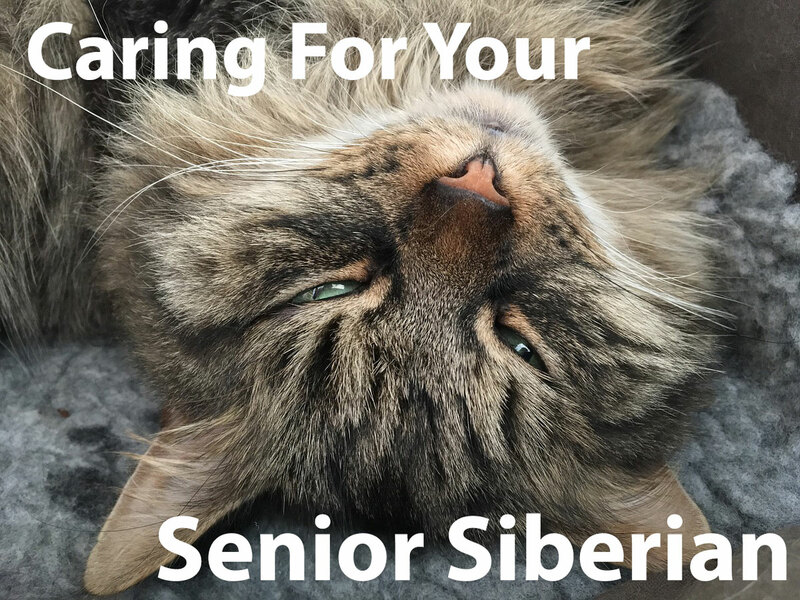 Siberians live on average 11-15 years, but with proper care they can live even longer. We’ve all met that lively 70 year old whose sharp as a tack and always doing things; there’s no reason your cat shouldn’t be the feline equivalent. 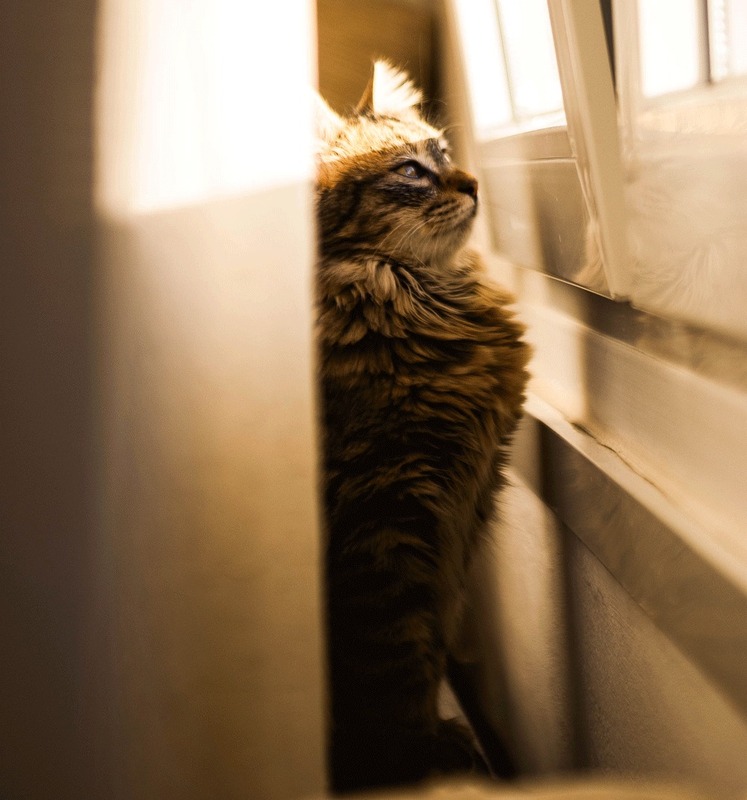 Along with your cats physical and behavioral changes, you’ll also need to make a few changes to ensure your cat lives long into their golden years. 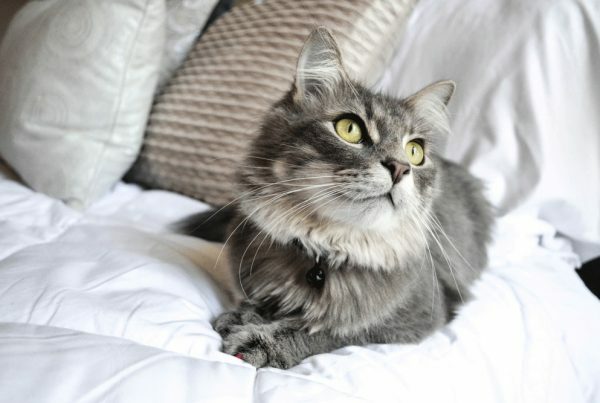 See the Vet More Often – perhaps the biggest thing you can do for your senior cat is get them checked out more often. 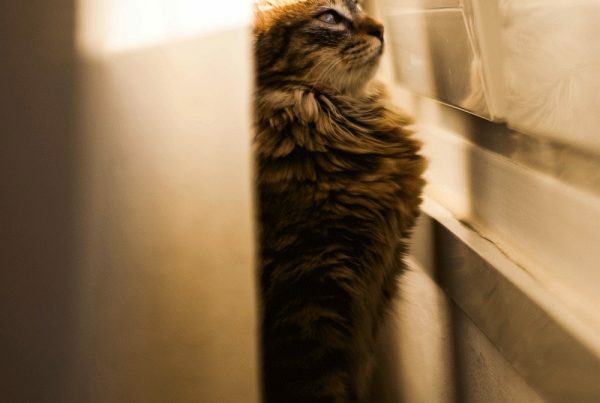 As cats age their chances of developing disease increases significantly, including arthritis, dental disease, liver disease, kidney disease, thyroid disease, and heart disease. It’s a good idea to visit the vet every 6 months with a senior cat, although healthy older cats may be fine with yearly visits. 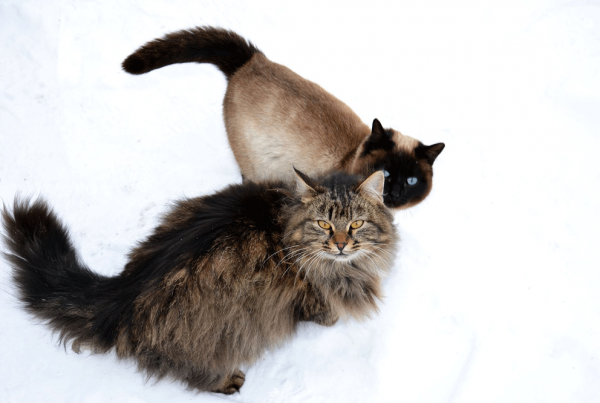 Track Behavior and Physical Changes – Elderly cats’ health can change quickly, so it’s important to take note of typical behavior and recognize when something is off. Look for signs of illness, and remember cats will always try to hide their sickness, so it’s up to you to notice the subtle signs. Keeping notes on changes in behavior, eating patterns, physical appearance and bowel movements can be helpful information the next time you visit the vet. Changes in Weight – Any significant gain or loss in weight is reason for a vet visit. Often, this is a sign of underlying illness or disease such as dental disease, hypothyroidism or kidney disease. Slower or Less Activity – Although it’s normal for elderly cats to move less, it may also be a sign of arthritis. One study showed over 90% of cats over 12 years old had radiographic evidence of arthritis. Consider a Special Diet – As senior cats’ ability to absorb certain nutrients decreases it may be time to feed them a special diet. Your vet will know the best diet for your cat given their unique situation. Brushing your Cat’s Teeth – Older cats are more likely to develop dental issues, so you may need to adopt a routine of brushing their teeth. Special toothbrushes and toothpaste are available for this purpose. Helping Hand – With old age comes muscle deterioration, and your cat may not be able to jump to the ledges they once could. Help them out by placing steps or stairs up to their favorite locations.